I have at least 5 navy tops (either just plain navy or navy/ cream stripe) that really needed a lighter colored skirt to go with for the summer. 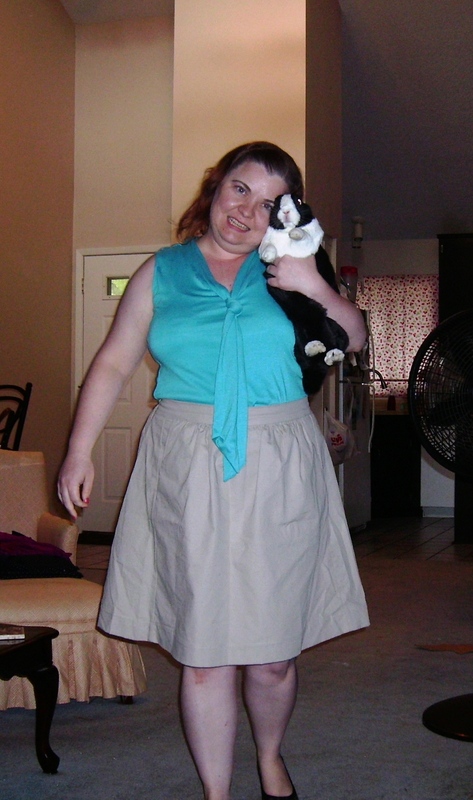 My current light colored skirt (Vogue 1247 ) is just too short to wear to work. As for fabric, I had a light colored cotton twill which was recently added to the stash. I decided to try out the Liesl + Co everyday skirt to fill the wardrobe hole. After reading some reviews and such, I was torn on what size to make. In the end, I decided on a large. 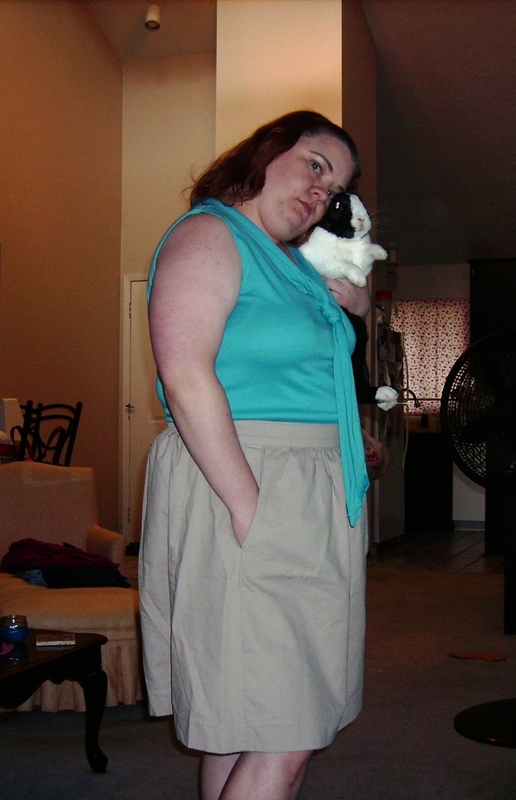 The only alterations I made was to shorten the skirt by an inch and to shorten the elastic (probably by three inches). Since, I didn’t have three- quarter inch elastic at home, I went ahead and used one and half- inch elastic instead. This did make the back of my skirt bulky especially because of shortening the elastic. To tame it down some, I zig-zag stitched down the center of the elastic. As of right now, I am not sure if I would be better going down to the medium or just altering the large more. The side seams feel too far back. I think taking a quarter-inch (for a half- inch total) out of the center front would help that. I would definitely go out and buy half- inch and three-quarter inch elastic for any future versions. Otherwise, I know the back piece needs less width but I don’t know how much to take out. The length needs to go up at least another inch beyond what I have done. I really want it to end just above the knee that way there is a gap between the top of my boots that I wear in winter and the bottom of the skirt.